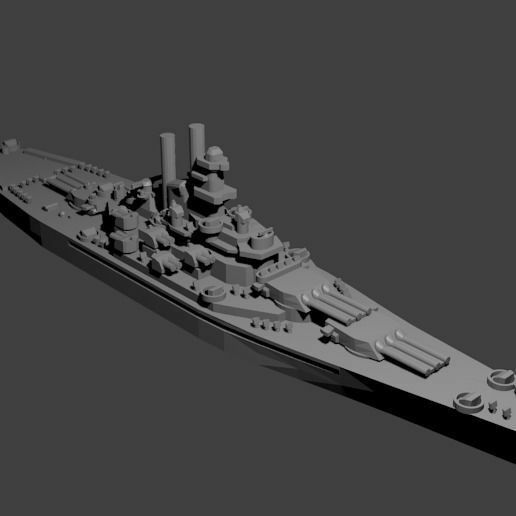 1/1800th scale Sampson Class Destroyer model. Certain elements not to scale. The Sampson class was a series of six destroyers built for the US Navy during WWI. Only one remained in commission at the onset of WWII. They carried four four-inch guns and twelve torpedo tubes along with a couple smaller caliber guns. This model is designed and tested at 1/1800th scale, but up-scaling and down-scaling are possible. Since the model is optimized for 1/1800th scale, it is not ideal to print larger versions due to a lack of detail. The gun barrels and mast have been enlarged. This is part of my collection of WWII warships, keep an eye out for more to come. If you have a specific request, message me and I'll bump it up my list. Tested with PLA at .08mm layer height with .4mm nozzle.